This is an exciting instrument. 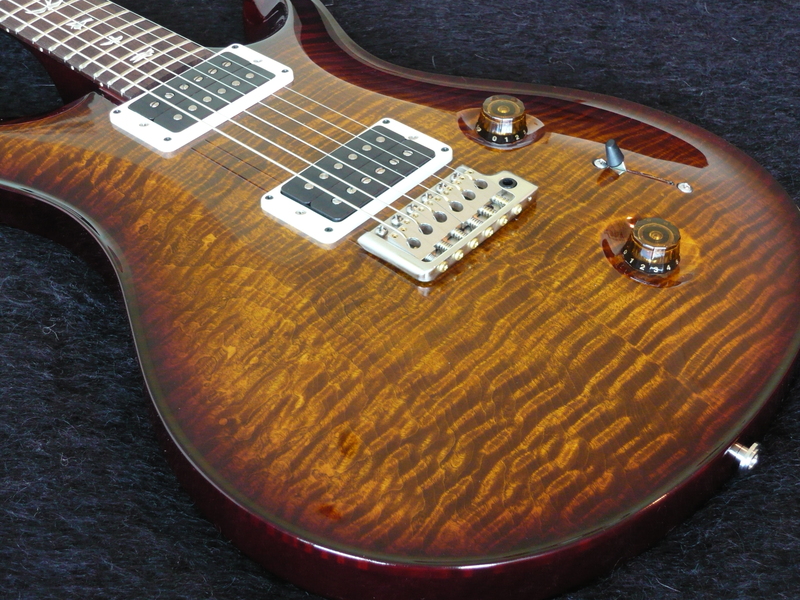 It harbours tonal flavours you do not get in Strats or Les Pauls. The clarity is unbelievable right across the fretboard. No mud! No weak strings! Power if you need. Delicacy if you desire. Warmth, sweetness and most of all, that vintage flavour that gets us in the heart, beautiful unadulterated vintage tone. PRS lovers will know what I mean. It is uniquely Paul Reed Smith, created in Stevensville, Maryland, USA. HFS treble and Vintage bass pickups wired for a redesigned 5-way blade switch, which offers a dual humbucker option. HFS treble and Vintage bass pickups were first offered in the 1990's and helped to define the sound of the time by providing a balance of aggressive, musical, clear highs and strong midrange and bass.